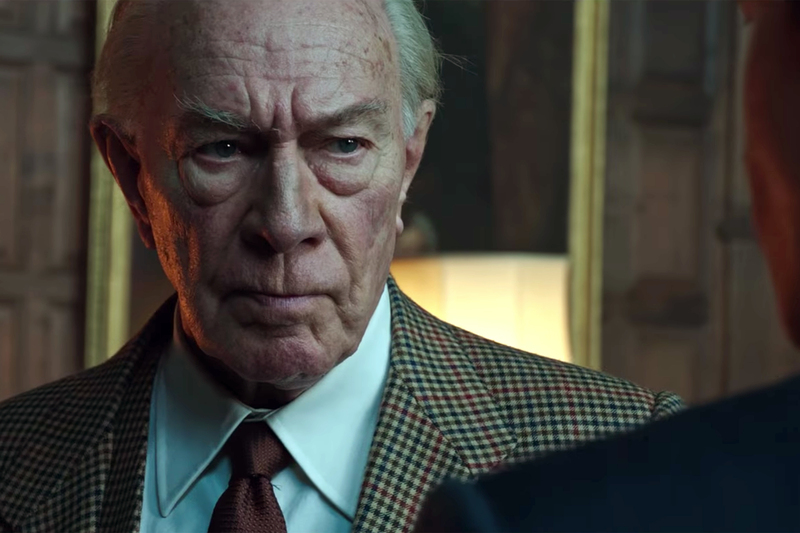 Ridley Scott’s All the Money in the World is a testament to the director’s superhuman abilities. It is proof of what can be achieved with willpower and determination. Before I say anything about the film, I will bow my head in respect and admiration to Mr Scott. The film was riddled with controversies as Kevin Spacey (a despicable human being), the lead actor in the film who played John Paul Getty, was charged by several people of sexual assault and sexual harassment starting from late October. 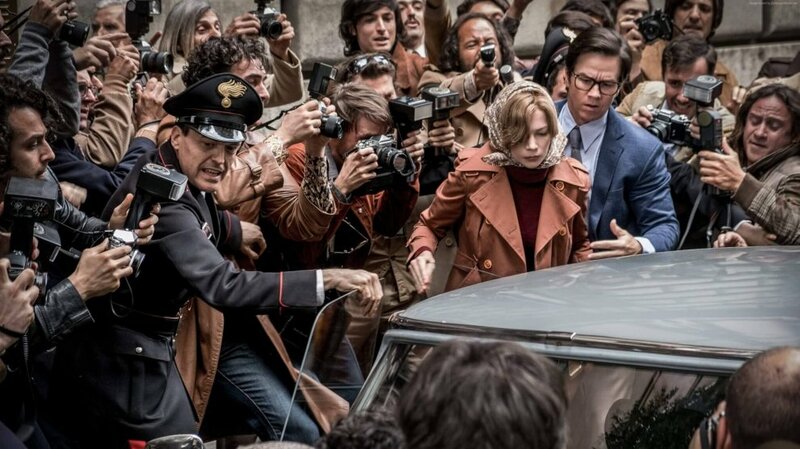 All the Money in the World’s premiere at the AFI Fest on November 16 was cancelled soon, with everyone almost certain that the film was going to be dropped and not released anymore. But then an 80-year-old Ridley Scott took on the Herculean task of recasting the role by replacing Spacey with Christopher Plummer. He would soon begin reshooting on November 20 and take ten days to finish the reshoots on November 29. The new trailer for the film featuring Plummer released on the same day. The release date couldn’t be postponed to next year as Danny Boyle’s FX series “Trust” based on the events of the same incident premieres in 2018 as well. The film was eventually released on its scheduled date of December 25. All the Money in the World shows us how obsessed we are with money and how our greed knows no bounds, even when it comes at the cost of losing a near one. How we think of our own gains over anyone else’s, be it friends or family. All the Money in the World, adapted from the 1995 book of John Pearson, “Painfully Rich: The Outrageous Fortunes and Misfortunes of the Heirs of J Paul Getty”, tells the story of the 1973 kidnapping of J.P. “Paul” Getty III(referred to henceforth as Paul), grandson of oil tycoon J Paul Getty(Christopher Plummer), who was then the richest person in the history of the Earth by a crime ring in Rome. The kidnappers ask for a ransom of 17 million dollars. Gail Harris(Michelle Williams), who is divorced with Getty’s son, cannot afford the money and seeks Getty’s help to pay the kidnappers. Getty refuses to pay a cent and appoints one of his negotiators, Fletcher Chase (Mark Wahlberg) to bring back his grandson. The film depicts the events of the kidnapping and the desperation, helplessness and sacrifice of a mother to bring her son back while the entire world’s focus remains fixed on this news. Money has created a social gap between us for ages. The rich go to any lengths to get richer, while the poor continue getting poorer on average. Money brings an ego to someone’s character and the combination of these two is deadly as is the case with John Paul Getty. His love for money exceeded his love for anything else, even family. He was someone who didn’t care about his son getting bankrupt and almost on the verge of being homeless, till he came to seek shelter from him. He only wished to get richer every day from his oil fortune and the only thing he did all day was to check receipts all the time to see how much money he made the past hour. He was also obsessed with art, something most rich people invest in, shelling out insane amounts of money to buy original artworks from all around the world. This greed blinded him so much that he would refuse to pay 17 million dollars, something he earned probably in a day or two, a drop in his ocean of wealth, to release his grandchild from kidnappers even if it concluded in his death. Money had turned Getty’s heart into stone. The stunning reality of this event is that this behaviour probably isn’t exclusive to John Paul Getty, all of us behave the same way to some extent, if not such extremes. We are blinded by money and we thrive to earn more, often sacrificing relationships and friendships. I have already professed my immense admiration for Ridley Scott. He does a great job at presenting this film, and a very decent one at that, in spite of reshooting a good chunk of it. The film maintains an intriguing narrative throughout, something which will keep you on the edge of your seat in spite of the fact whether you know of the outcome from before, thanks to a crisp screenplay from David Scarpa. Christopher Plummer’s last-minute recasting was possibly a boon for the film, as his age worked to the advantage of his role. He portrays the character of John Paul Getty and his motivations with sheer perfection. Gail Harris was probably the most important role in the film. The helpless mother, on whom Getty shut his door, found herself desperate to somehow rescue her son. She shows utmost sacrifice and resilience even when facing such dire situations, with the media tracking her every move all the time. Michelle Williams was an excellent casting choice for this part as the very underrated actress does justice to this role. Mark Wahlberg’s Fletcher Chase doesn’t add much value to the story but acts as a friend to Harris. The efforts of Plummer and Scott were acknowledged with a Golden Globe nomination for Best Director and Best Supporting Actor although both of them didn’t end up winning. Controversies didn’t leave the film even after the release as news broke out that Mark Wahlberg was paid 1.5 million dollars for the reshoots while Michelle Williams took 800 dollars for the same. When women are coming out more than ever voicing their rights to equal pay, this instance angered men and women alike all around the acting spectrum and Wahlberg and his management were publicly shamed. The chaos ended in Wahlberg donating his salary from the reshoots to the TimesUp legal fund. But at the end of the day, I will remember this film, not for the controversies attached to it, but for the determination of a badass 80-year-old. An aspiring programmer by passion, Tuhin is a serial procrastinator and is occupied with three M’s - Movies, Music and Manchester United. He is obsessed with the use of colour in films, something he pours out more often than not on his Facebook page.